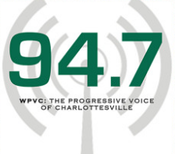 Sunday Morning Wake-up Call host Rick Moore talks with radio station WPVC co-founder and station manager Jeff Lenert about the station’s first two years on the air. Hosts M.C. Blair (To Your Health) and Nancy Lawrence (Apropos Of Something) and podcaster Dan Gould join the conversation.